Come December, Southern California cruisers will say “ahoy” to the new 4,000-passenger Carnival Panorama, currently being built at the same Italian shipyard where the ship it’s replacing, the 3,100-passenger Carnival Splendor, was constructed a decade ago. 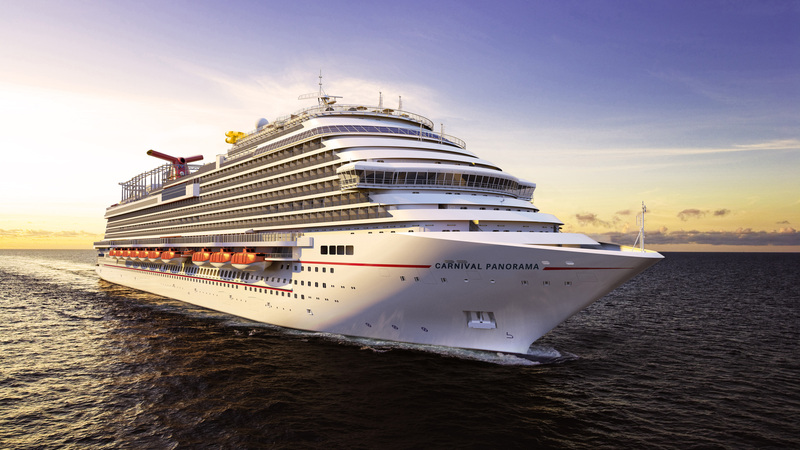 Just months away from a sea test at the Fincantieri shipyard near Venice, Italy, the Panorama is the third vessel in Carnival’s Vista Class, following the 2-year-old Carnival Vista and 9-month-old Carnival Horizon. It will not only be Carnival’s largest ship — by a few tons and a few people at capacity — but the largest year-round ship ever based in Southern California. Long Beach Cruise Terminal will be her home, sharing Pier H with Carnival’s short-itinerary Imagination and Inspiration through at least May 2021. Exchanging a 10-year-old European import for the latest model straight off the assembly line is rare for a market used to having older ships homeported here. In fact, 21 years and five class generations have passed since Carnival delivered a new ship to our Pacific shores — the Finnish-built Carnival Elation that is about half the capacity and weight of the new vessel earmarked for the Port of Long Beach. As the still-active Elation did when it first arrived, the Panorama will take passengers on 7-day sails to the Mexican Riviera, but not before making a special 3-day maiden voyage to Ensenada on Dec. 11. The Splendor will have bid adios by then. 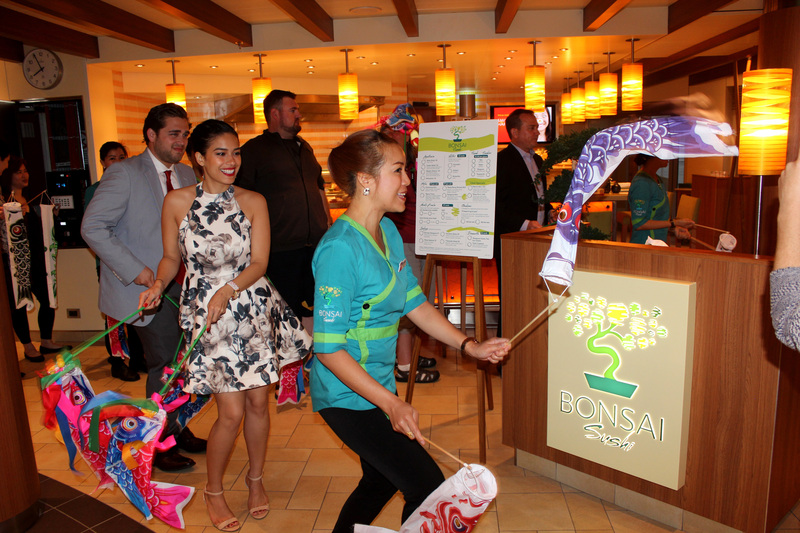 Once the largest ship in the fleet, the Splendor will end her run of weekly jaunts to Cabo San Lucas, Puerto Vallarta and Mazatlán on Oct. 5, the same day she embarks on a 24-day repositioning voyage to Singapore for a new life based in Australia. 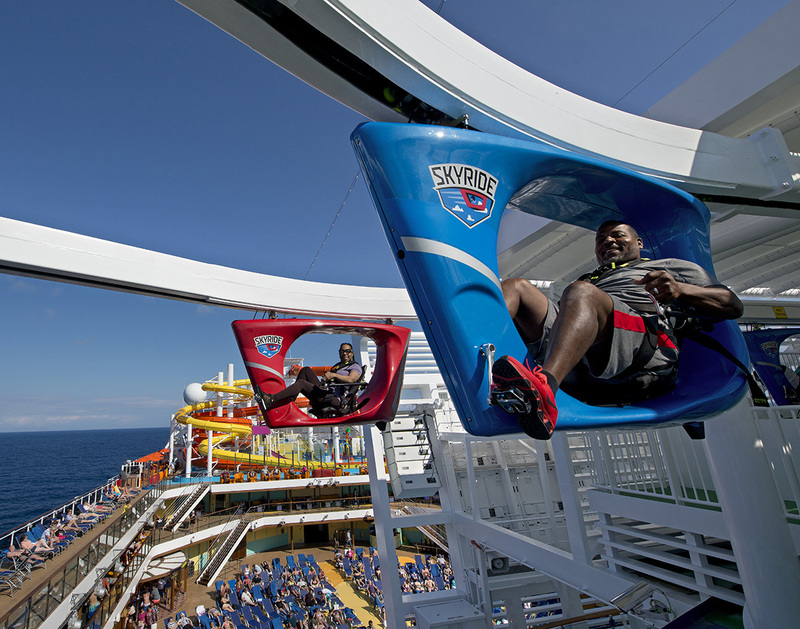 So that regional cruisers aren’t left hanging, the Carnival Miracle will make five week-long round trips south of the border from Oct. 12 to Nov. 23 before the Panorama makes her debut. For Carnival, the dominant cruise line in Southern California, followed by Princess, Norwegian and Holland America, homeporting a new ship in Long Beach is just the — pardon the choice of idiom — tip of the iceberg in the company’s latest investment in the West Coast market. Gearing up for the Panorama’s debut, Carnival more than doubled space for embarking and disembarking passengers at its unique geodesic dome-shaped facility next to the permanently docked RMS Queen Mary. The dome, originally built to house Howard Hughes’ Spruce Goose seaplane, is now all Carnival’s thanks to the multi-million-dollar expansion opened to much fanfare last February. Southern Californians now have another gateway to Hawaii and the Panama Canal with Carnival’s announcement that the 2,124-passenger Miracle, the ship that the Splendor replaced for longer Mexican Riviera cruises out of Long Beach a year ago, will sail to those destinations and Mexico from San Diego — ending a seven-year absence there — starting in December. The Miracle will have a second California home starting next year. From March 2020 through winter 2021, the ship will migrate between San Diego and San Francisco, a new port for the 47-year-old cruise line, offering voyages to Mexico, Alaska and Hawaii out of the busiest cruise terminal in the Bay Area. The first voyages related to all these West Coast-datelined announcements don’t set sail until late fall, but because bookings are underway, so is Carnival’s marketing campaign. 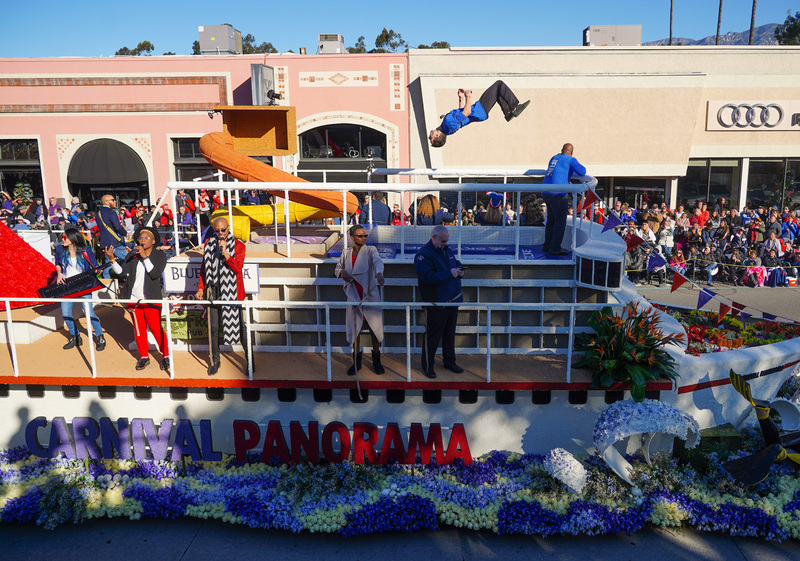 The company’s first float in the Tournament of Roses Parade on New Year’s Day featured a 55-foot-long replica of the 1,055-foot Panorama, complete with working trampolines for reasons to be explained later. The Carnival AirShip, which debuted last summer above Memphis, has been soaring over Southern California since Jan. 5. 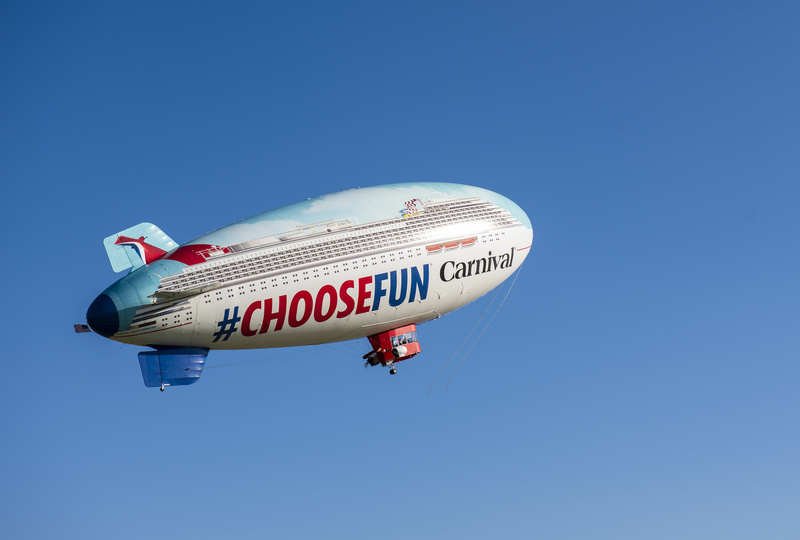 Besides the chance to win prizes, anyone who posts an AirShip photo on Facebook, Instagram or Twitter with #ChooseFun hashtag will also trigger a donation to St. Jude Children’s Research Hospital, Carnival’s longtime charitable partner. The red, white and blue blimp is scheduled to hang around the area through Sunday, Jan. 20, then head north to the Central Valley and Bay Area through the end of the month. These promotions and the strength of a reinforced fleet have Carnival feeling ship-shape to bolster its presence in greater Los Angeles and points north and south. When Capt. Carlo Queirolo and his crew of nearly 1,400 travel the 10,759 nautical miles from Marghera, Italy to the Port of Long Beach, crossing six seas, two oceans, the Strait of Gibraltar and the Panama Canal to get here, they will bring with them 133,500 tons of cruise innovation. The first trampoline park at sea will feature a 12-lane court also used for playing bouncy basketball and dodgeball. 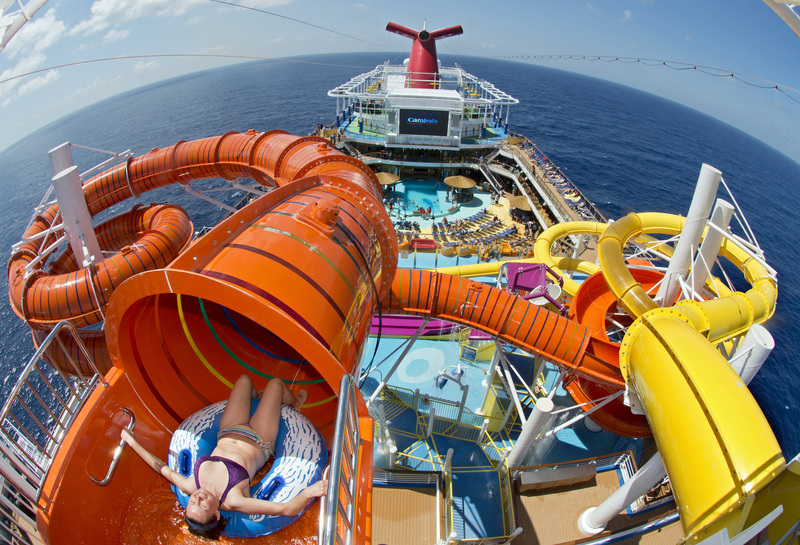 Partnering with Sky Zone, a Los Angeles-based chain of indoor family recreation centers, Carnival is replacing space occupied by a three-deck IMAX Theater, also a maritime first, on the two existing Vista Class ships. An up-charge, Panorama’s Sky Zone Park also will be fitted with such physical challenges as a rock-climbing wall and oversized, stackable soft blocks for toddlers. Ways to work off the buffet without paying extra money include the Vista Class-exclusive SkyRide, an outdoor, self-peddled roller-coaster bike ride; the SkyCourse ropes circuit; and a massive Dr. Seuss WaterWorks aqua park with two distinctly different waterslides. Digging into the food a bit more, the Panorama will have something the Splendor doesn’t: Guy’s Burger Joint. The 5- to 10-pound weight gain generally accepted as average for a 7-day cruise can easily be attributed to this poolside eatery overseen by celebrity chef Guy Fieri. 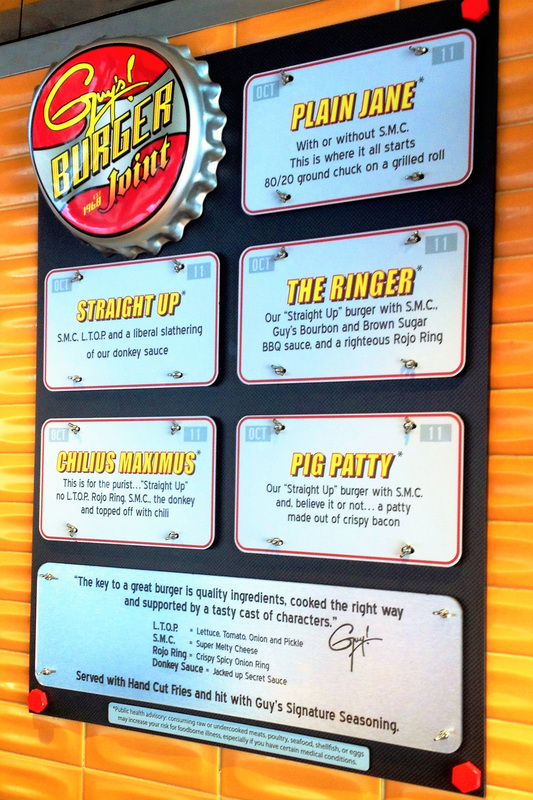 Try the Pig Patty or Chilius Maximus with extra Donkey Sauce and dare prove otherwise. Adding to the guilty pleasure is it’s included in the fare. Other food bars and restaurants feature Mexican, deli, sushi, teppanyaki, barbecue, beachy comfort seafood and 24-hour pizza. Also onboard are an elegant steakhouse, Italian trattoria and two main dining rooms. The Panorama will have three more bars and lounges than the Splendor, including the Havana Bar which, found only on Vista Class ships and Carnival Sunshine, pours Cuban-style cocktails and coffee with Latin dance music to match after sunset. As for the ship’s other 24 watering holes, worth noting for martini aficionados is the Alchemy Bar, and for beer lovers there’s Guy’s Pig & Anchor Bar-B-Que Smokehouse and Brewhouse. Yep, the ship will have a brewery. Where you sleep it off can also be a bit different with Vista Class. Among the 34 grades of cabins is a Havana section with tropics-inspired staterooms for guests 12 and older. Located near the Havana Bar (of course), this area offers a members-only pool by day and cabanas with hammocks. 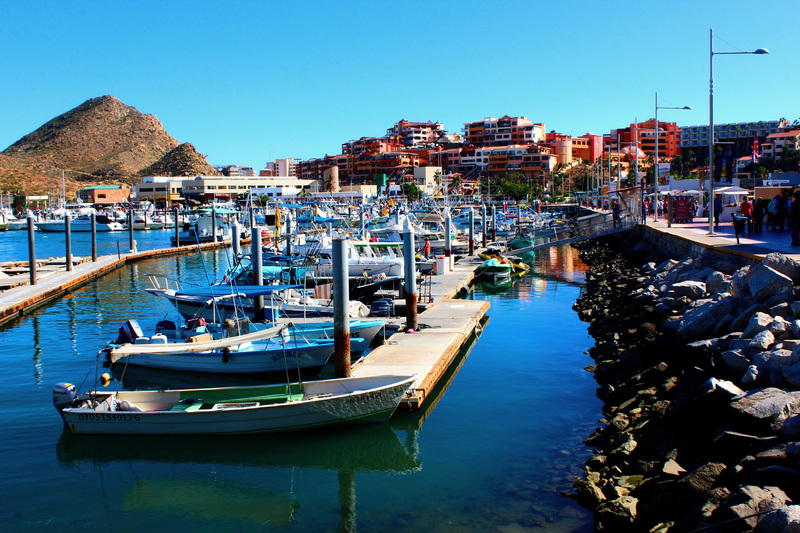 Also new is the all-ages, nautical-themed Family Harbor area that provides a hangout with large TVs and complimentary breakfast and snacks only for occupants of these 86 staterooms. Cloud 9 Spa cabins have access to private spa facilities. The Panorama will have 1,832 passenger cabins in all. 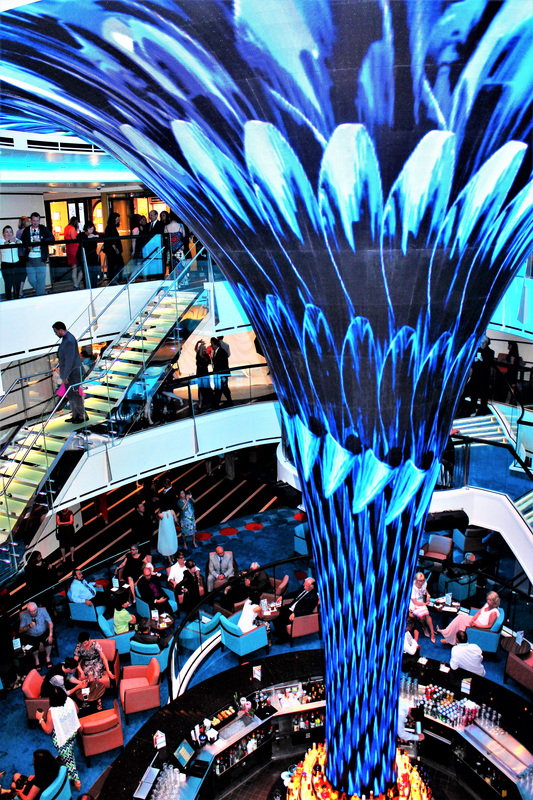 Unique to Vista Class ships, the grand interior focal point is a 24-foot-tall, funnel-shaped sculpture called “Dreamscape.” Towering three decks, the artwork’s centerpiece has more than 2,000 flexible LED tiles that are customized for the shipboard environment. 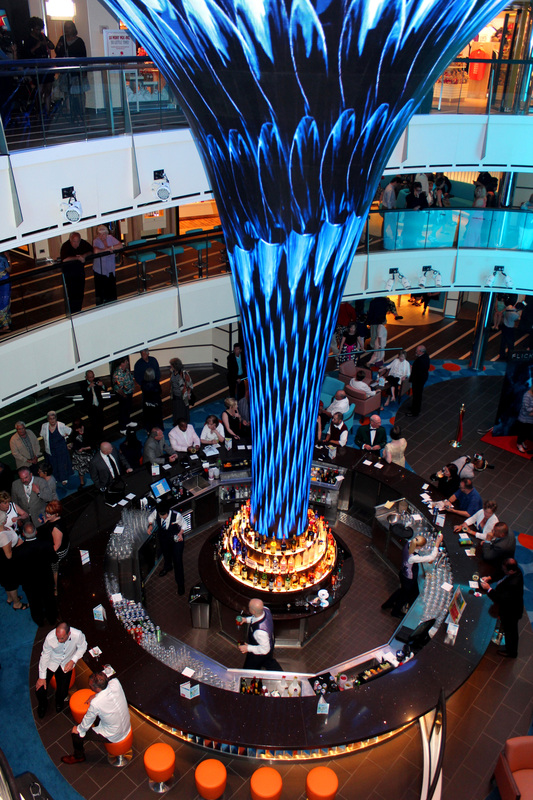 Each day, technicians program the rotating artwork based on the time of day, cruise port of call or special occasion. Fares for a 7-day Mexican Riviera cruise on the Panorama next winter start at $529 per person. For further information, visit carnival.com or call 800-764-7419. February 1, 2018 at 4:05 PM Why are there barricades along Disneyland’s Main Street U.S.A?